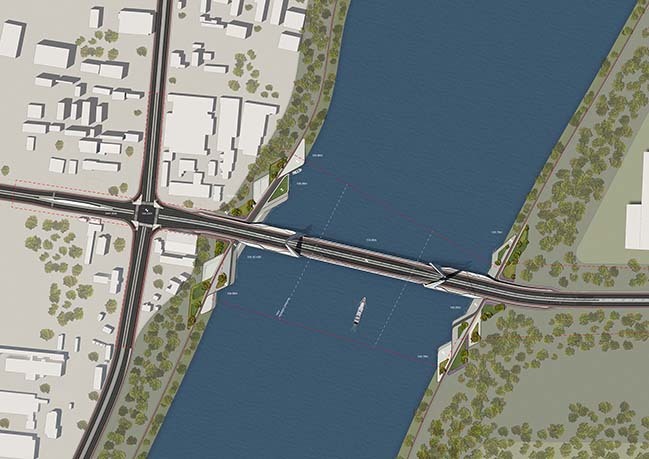 In 2017 the Municipal Government of Budapest announced an international architectural design competition to find the design for a much needed new bridge over the Danube in the post-industrial southern area of Budapest. 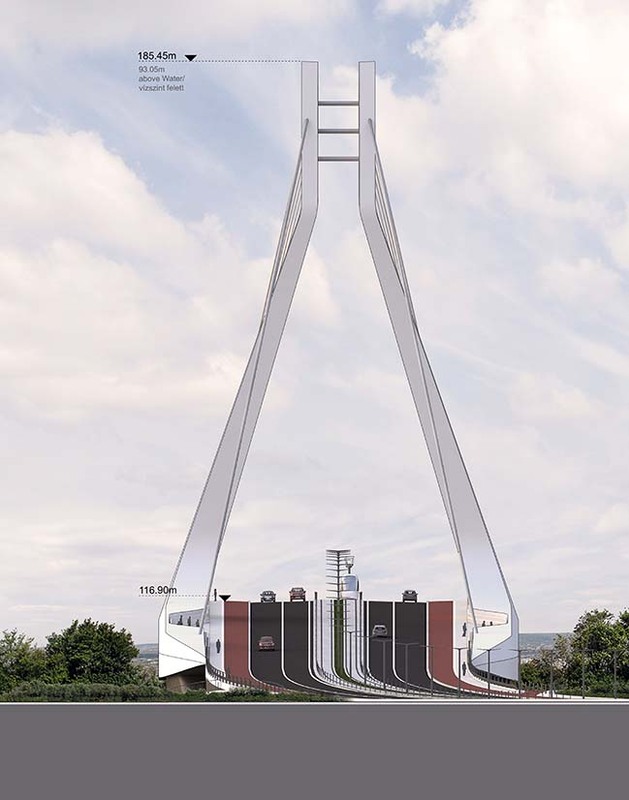 The new road, tram, pedestrian and cycle crossing is deemed necessary to reduce traffic congestion and accelerate the development of the former industrial areas south of the city centre. The design proposal by UNStudio with Buro Happold Engineering was recently announced as the outright winner of the competition. Conceived as a gateway between Ujbuda and Csepel, UNStudio’s design for the New Budapest Bridge places a new landmark bridge within the Budapest landscape that is both contemporary in design and innovative in structural form. 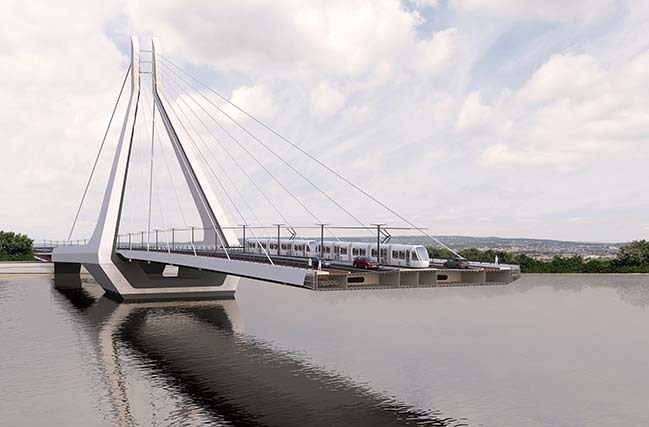 The design directly connects the bridge to the Urban DNA of its location, its future development and its nascent landscape. 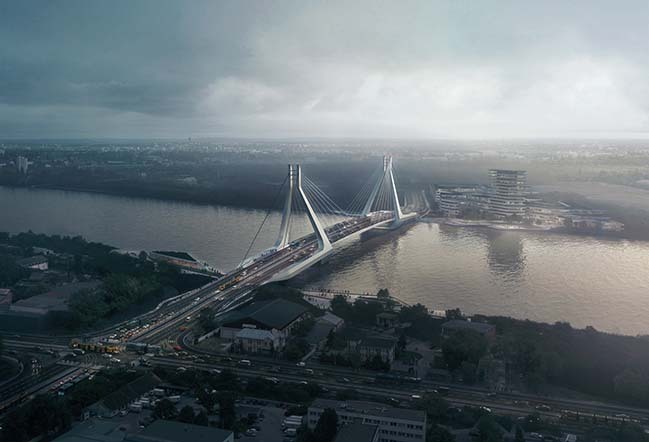 Through a careful study of context and proportion, structural optimisation, accommodation of exist­ing constraints and the future vision of Budapest, the bridge is designed with an urban experience in mind that not only enables sustainable transportation between Ujbuda and Csepel, but also operates as a clear gateway to the city. UNStudio’s study included landscape, urban planning and Budapest’s future vision and concluded with a 500m long crossing accommodating cars, trams, pedestrians and cyclists. Ben van Berkel: "It was essential that the bridge would be in harmony with Budapest - which owes much of its configuration to the surrounding landscape - and its future vision. It was also important that the bridge enable unobstructed views below and above the bridge deck. We wanted it to operate as a clear gateway to the city, like an inviting gesture of hands." A cable stayed bridge with a main span of 220m offers unobstructed views on multiple levels from and towards the bridge and simultaneously creates a new urban landmark underlining the development of Budapest’s south. This structural typology is not yet to be found in Budapest. The pylons are crafted from steel and finished in a white paint coating with a sheen. 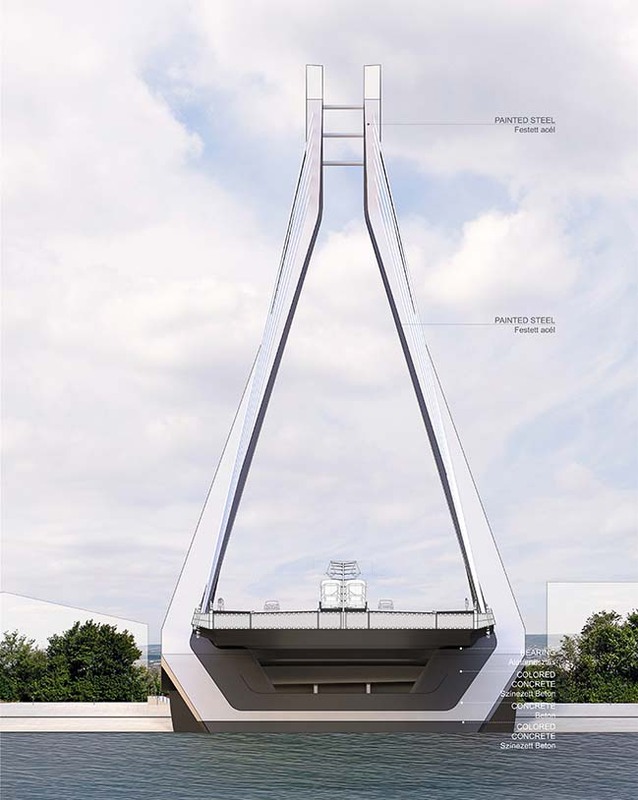 This finish endows the bridge with an ever changing appearance, as the result of its ability to pick up tints and tones from the surrounding environ­ment. The latest tech­nologies and materials have been employed in order to improve the design process, capital cost and full life cost of the bridge.